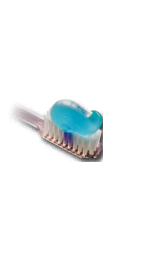 Quality general dental care with an emphasis on natural esthetics, form and function. Experience with complex restorative, prosthetic and implant treatment. The FDA has approved several dermafill injectable gels for use to correct the folds and deep wrinkles in the facial area. Hyaluronic acid is a sugar molecule that exists naturally in almost all living organisms. Hyaluronic acid binds water and can act as a lubricant and shock absorber in movable parts of the body such as joints. It is also important for the transport of nutrients and in regulating water balance in skin. Our skin and underlying tissue has a high amount of hyaluronic acid which decreases naturally as we age leading to deep wrinkles and creases. Hyaluronic acid is able to hold large amounts of water which results in the skin and tissue having a fuller appearance. As this molecule is lost so it the amount of water held in the tissue. "Uncross-linked" hyaluronic acid in its natural form is in a liquid state. "Cross-linking" is the process through which hyaluronic acid is made into a gel product that can be injected into the skin for long-lasting results. How are dermafill injectable gel used in treatment? 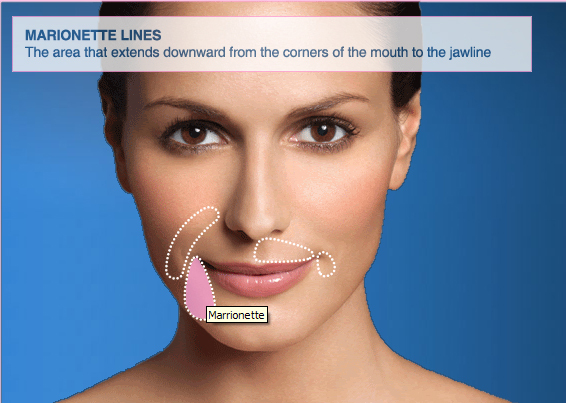 Your healthcare provider eases dermafill injectable gel into the skin using a fine needle to temporarily fill in and augment the treatment area and smooth moderate to severe facial wrinkles and folds such as "smile lines" or "parentheses" (nasolabial folds) and "marionette lines" (oral commissures). Dermafil gels temporarily adds volume to the skin and may give the appearance of a smoother surface. What will treatment with dermafill injectable gel accomplish? 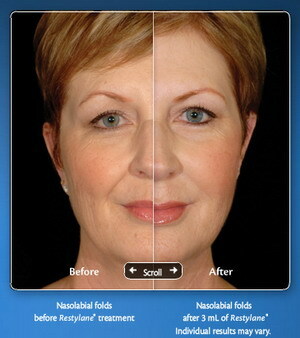 Dermafil injectable gel will help to smooth moderate to severe facial wrinkles and folds. Most patients need one treatment to achieve optimal wrinkle smoothing. 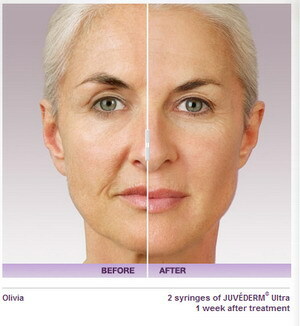 And one treatment could smooth your lines and wrinkles for up to 1 year. Ask your doctor what you should expect from your initial treatment and when they would recommend rescheduling another appointment. Is treatment with dermafill injectable gel painful? Injections may cause some discomfort during and after the injection. The smooth consistency the available gels of allows your doctor to administer it easily and smoothly. And, the gel is injected directly into the skin using a fine needle to reduce injection discomfort. Additionally, the gels are formulated with Lidocaine for a more comfortable treatment experience. Your doctor may choose to numb (anesthetize) the treatment area to further minimize discomfort. The injection process generally takes only about 15 minutes. You'll also need to allow time to consult with your doctor prior to treatment. How soon after injection with a dermafill gel should I expect to see results? As dermafill gels are composed of hyaluronic acid these natural molecules retain water in the area and will hold 5 times their weight in water. Therefore, over the 10-14 days following injection the area will continue to “plump” and fill in and this is aided by how much water to drink over that period. As the area will continue to fill in as it absorbs water at the treatment appointment we wish to see some fill but not complete fill. If the area is completely filled at the appointment it may look over plumped during that 2 week settling period as water is absorbed into the hyaluronic acid gel. Hyaluronic acid (HA) is a naturally occurring molecule. Much like a sponge, its primary function is to bind and absorb water, which creates volume in the face. In this way, Hyaluronic acid can be thought of as the body’s internal moisturizer. 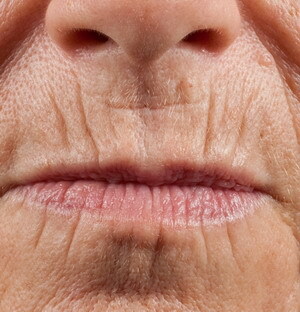 But, as we age, HA diminishes, which contributes to the presence of lines and folds. Why is young skin so supple and full? In part because of hyaluronic acid, a naturally occurring substance in your skin that helps provide fullness and elasticity. There are many factors that contribute to skin aging, one of which is a loss of hyaluronic acid. As a result, your skin can begin to develop wrinkles and folds. The good news is you can do something about it. You can use hyaluronic acid gels such as Restylane and Juvederm products to reveal a younger-looking you. The Restylane® Family of products instantly adds volume to help restore youthful contours, so you’ll see results immediately following your treatment. There is little to no downtime. In a clinical study of laugh lines (nasolabial folds), at least 95% of patients treated with Restylane continued to see results for up to 18 months after initial treatment when patients returned for a follow-up treatment at 4.5 or nine months. 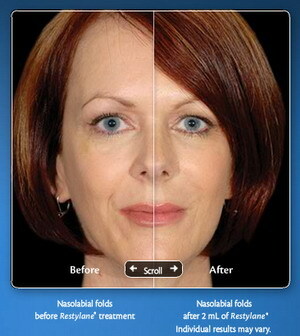 To learn how to get beautiful, long-lasting results with the Restylane Regimen. It's a way to help you get the most out of your Restylane treatments. The Restylane Regimen is a treatment plan that involves an initial treatment and a follow-up treatment 4.5 or nine months later. On average, only half the amount of Restylane injectable gel used at the initial treatment was needed to achieve full correction at the follow-up treatment. Restylane is the only hyaluronic acid dermal filler approved to last up to 18 months from initial treatment of moderate to severe nasolabial folds (lines from the nose to the corners of the mouth) when patients followed the Restylane Regimen. Why should I choose Restylane or Juvederm? It is safe. Restylane and Juvederm resemble the body’s own well tested in clinical studies. It works. 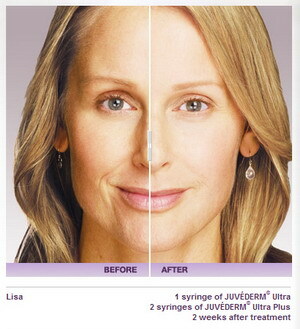 Restylane and Juvederm have long-lasting results, but are not permanent. It is clinically proven with extensive clinical documentation. It is the most used. 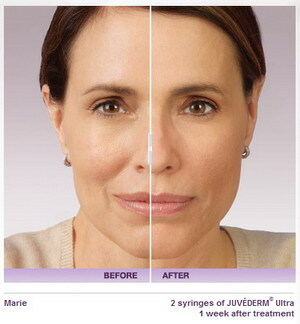 Restylane and Juvederm have been used in over 10 million treatments worldwide during the last twelve years. What areas can be treated with dermafills? By replenishing the skin’s supply of hyaluronic acid, Restylane and Juvederm rejuvenates and adds volume to the skin, instantly diminishing the appearance of lines and wrinkles, and giving a natural softer look. 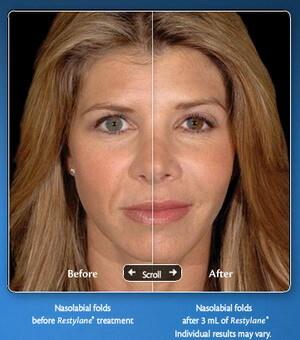 These dermafills are a soft injectable gel consisting of stabilized, non-animal hyaluronic acid. The gel is tissue-friendly and closely resembles the hyaluronic acid that exists naturally in the body. It is long-lasting but not permanent. Typically, the effects last with six month or longer depending on the individual patient. Start by making an appointment with a qualified practitioner. During consultation be prepared to discuss your individual wishes and expectations and receive recommendations of which treatment is most suitable for you. This will be based on what you wish to achieve, your features and individual life style factors. After the consultation you will receive the appropriate treatment. Hyaluronic acid is injected into the skin in small amounts using a very fine needle. The gel provides natural volume to smooth away the appearance of lines and wrinkles, enhance facial shape, or create fuller lips. These products improve the elasticity and texture of skin, and restores and maintain the skin hydrobalance. As the area injected will absorb water and increase in volume over a two week period, the area may not appear totally filled at the end of the treatment session. It is important to not completely fill the area as it will appear overfilled and give a swollen appearance after two weeks as it absorbs water. The treatment is quick, typically taking about 30 minutes. Treatment with dermafills does not affect facial expression and the benefits can normally be seen instantly. Although, full effects are not seen for two weeks. After a treatment some reactions might occur. Most common is slight redness, swelling, itching, bruising, pain and tenderness. The reactions are generally mild to moderate and usually disappear shortly after injection. They usually resolve spontaneously within one or two days after injection, but for some treatments they may last longer. Effects will not be fully apparent following treatment and as discussed hyaluronic acid absorbs and holds water in the tissue. Full effects are not typically seen for two weeks following treatment and it is important to drink a lot of water for the 3 weeks following treatment. How long does a dermafill treatment last? One of the great advantages of dermafills is that the effects are long lasting but not permanent. Duration depends on many factors, such as the individual’s skin type, lifestyle and age. After the initial treatment, follow-up sessions are normally recommended around every 6 to 12 months depending on the individual and the treatment. A treatment of the lips lasts about 6 months. As hyaluronic acid holds water it is important to get the maximum benefits from the treatment and to have them last the longest, drinking water and staying well hydrated is important. Most people can benefit from dermafill treatment. 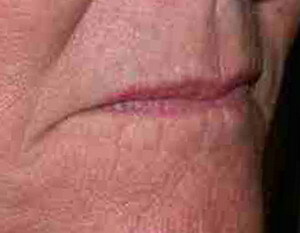 If you want to reduce lines and wrinkles or create more defined or fuller lips, dermafills can help. Also if you want to define the contours of your face, such as chin or cheek, or rejuvenate the skin in your face dermafills are a good option for you. Dermafills should not be used in or near areas where there is or has been skin disease, inflammation or related conditions. Dermafills have not been tested in pregnant or breast-feeding women. Individuals with medical conditions that lower the body’s immune response or individuals undergoing therapy that is immunosuppressive may be more prone to infection by a skin injection procedure. Do Dermafill treatment need pain relief during the treatment? The lips and surrounding area are highly sensitive part of the body and, therefore, anesthesia is usually recommended before lip enhancement. This is achieved most effectively by using a dental block using a local anesthetic. A local anesthetic topical cream is applied to the area to make injection with the local anesthetic more comfortable and avoid pain during the treatment. Restylane Juvederm is now also available with the local anesthetic Lidocaine in the dermafill for a more comfortable treatment experience and with the application of the local anesthetic treatment is a comfortable experience. Are there any risks with Dermafills? More than 10 million treatments have been performed since 1996. Product related reactions are rare. There are some injection related reactions which may occur after any injection; they typically resolve spontaneously a few days after injection to the skin, within a week after injection into the lips and within two weeks after injection with Restylane or Juvederm. These reactions include redness, swelling, pain, itching, bruising or tenderness at the injection site. 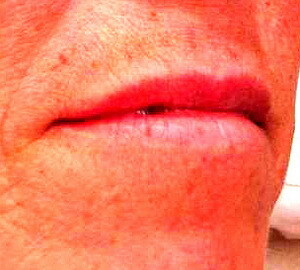 After a lip enhancement, your lips may be swollen for up to a week. In case of more pronounced reactions or if they last longer than a week contact your practitioner. As with all skin injection procedures there is a small risk of infection. Local inflammatory reactions described as mild to moderate and usually self-limiting within 2 weeks have rarely been reported. What is the clinical experience behind Hyaluronic acid dermafill products? Restylane is the world’s most tried and tested HA dermal filler available today. It is the benchmark for clinical excellence in its field. Its safety and effect are clinically proven and supported by extensive clinical data. Restylane has been used for 12 years and in more than 10 million treatments world wide. 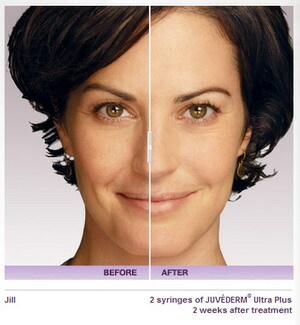 Juvederm also has a long history of safe and effective treatment as a dermafill product. Dr. Gregori M. Kurtzman is an international lecturer, selected as one of the top 100 dental speakers since 2006 by Dentistry Today, author of over 200 professional articles, a consultant to multiple dental manufacturers for product evaluation, development and research, he provides general dental care in suburban Maryland since 1986. Copyright 2011.Implant Cosmetic Dental Center. All Rights Reserved.